Neuroendocrine Dysfunction following Traumatic Brain Injury: Could This be a Key to More Successful Treatment? 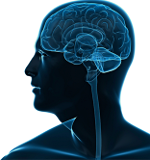 Recent research has shown that traumatic brain injury, (TBI) including mild traumatic brain injury (mTBI), can damage and cause dysfunction in the pituitary gland, a pea-sized gland located in the center of the skull that releases several essential hormones affecting such functions as growth and metabolism (part of the neuroendocrine system). Researchers have found that a surprisingly high percentage of patients with persistent symptoms following a TBI show evidence of neuroendocrine dysfunction. It turns out that the anatomy of this gland makes it particularly susceptible to the sheering injuries seen in TBI. The most common dysfunction found after TBI is deficiency in the Growth Hormone (GH), one of the key hormones released by the pituitary gland. The symptoms of GH deficiency overlap with many persistent TBI symptoms including fatigue, poor memory, depression, emotional lability, lack of concentration and attention difficulties. The good news is that most hormonal deficiencies, including GH deficiency, can usually be treated, with a significant improvement in quality of life. The bad news at the moment is that many physicians treating TBI patients with these persistent symptoms are not aware of this research and are not referring their patients to endocrinologists for assessment. It is recommended that all patients experiencing post-concussion symptoms for more than three months should be assessed for neuroendocrine dysfunction (NED). The training materials indicate that approximately 15% of people who suffer a mild traumatic brain injury experience persistent symptoms lasting more than three month and that of this group, between 15% and 30% develop NED. Identifying these patients and treating the NED significantly improves prognosis. The materials also note that NED may develop up to three years after the injury, consistent with the notion discussed in prior blog posts that TBI should be seen as potentially a disease process, not as just an acute injury. The study also found that in some patients pituitary dysfunction may worsen over the five year period following the injury. Both the study materials and the defense materials note that in addition to the commonly seen TBI symptoms, hormonal deficiencies may produce physical symptoms, including increased fat mass, especially in the abdominal area, and impaired lipid profile (commonly referred to as a to cholesterol test.) Increased total cholesterol and triglyceride levels are not uncommon. I recently discussed the importance of assessing vision following a TBI, especially convergence insufficiency, since this condition can also produce many of persistent symptoms associated with a TBI and can often be treated. A neuroendocrine assessment also appears to be a potential key to more successful treatment of persistent symptoms.